Not only can it be intimidating but it can also become expensive to decorate your table for each season. 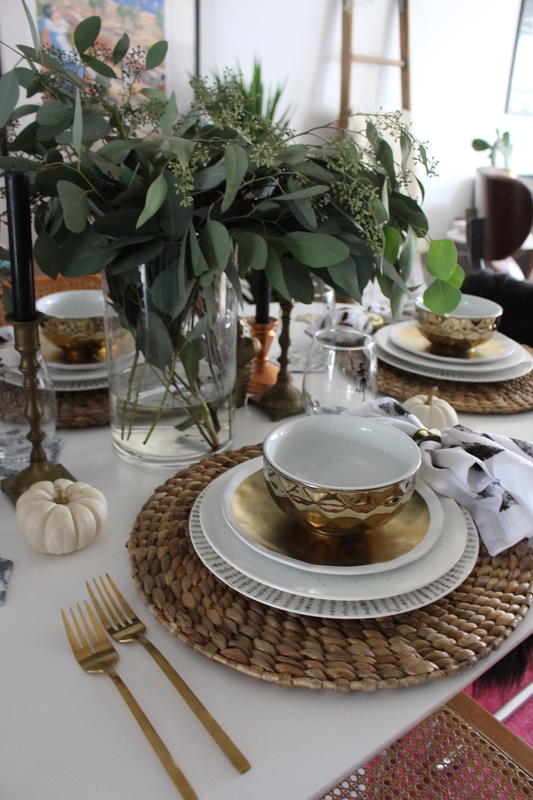 If you are interested in having a dinner party do not make yourself crazy or broke on making a beautiful and festive experience for your guests. 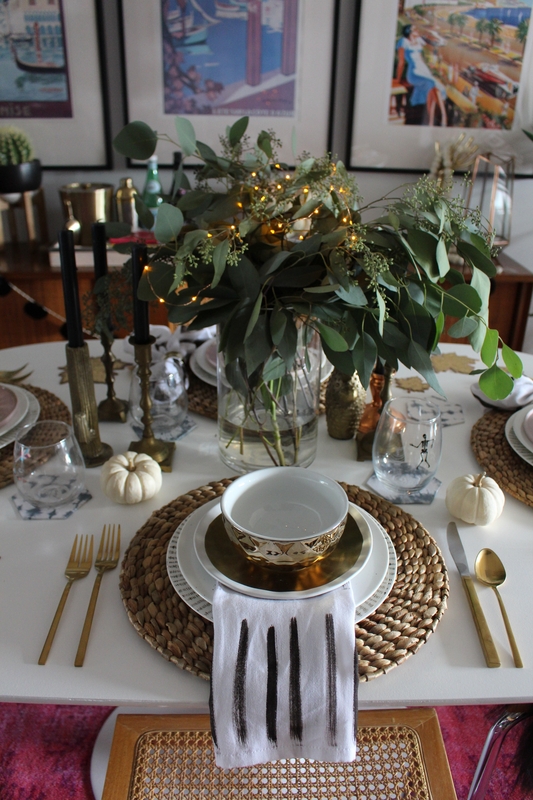 There are little ways you can take your table from season to season and holiday to holiday. 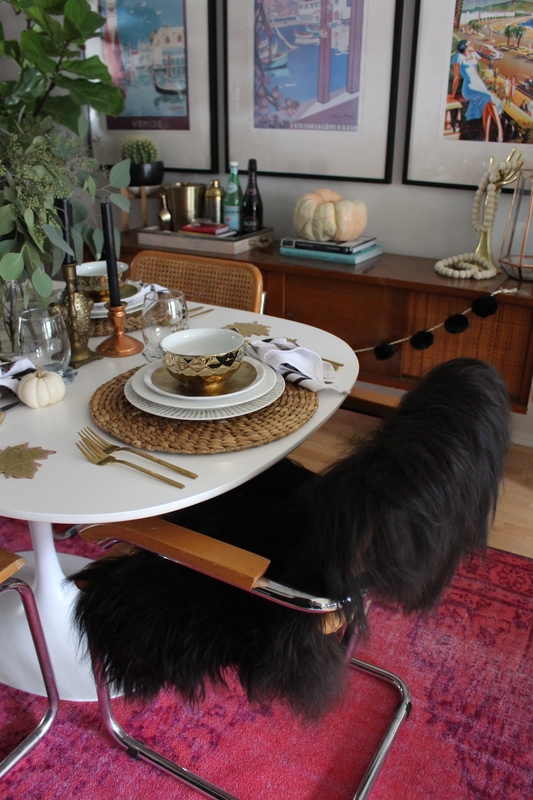 I styled my table for fall but I was also able to have it set for Halloween and now prepping for Thanksgiving in just a few easy steps. Glassware. 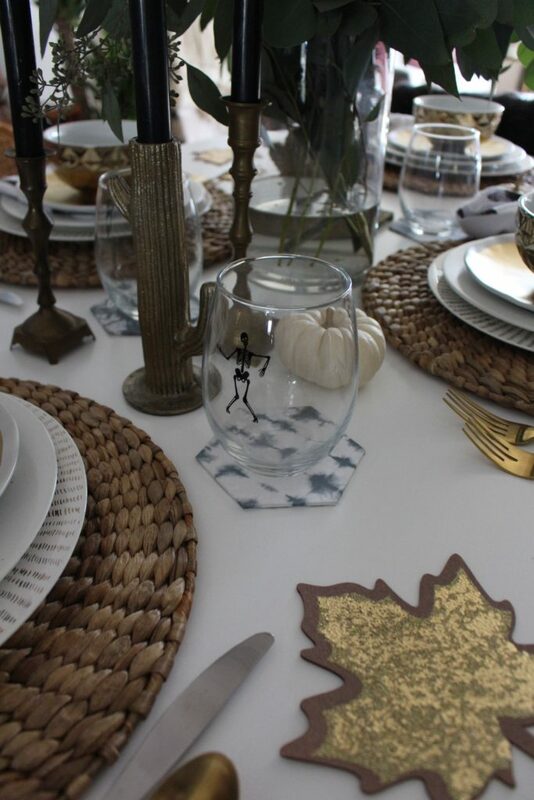 Changing up your glassware is an easy way to change from holiday to holiday but also change the whole vibe of the table. You can choose different types, colors, and designs. Anything you want! 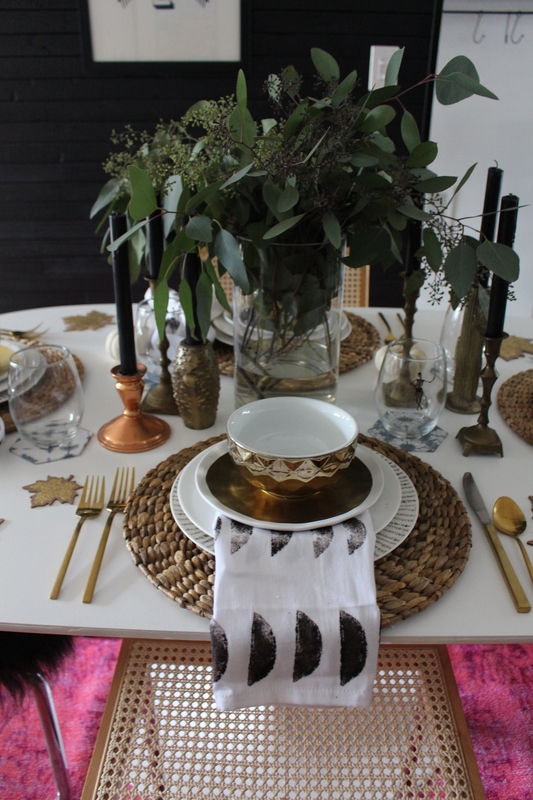 You could keep your tableware pretty simple and have different glasses for each holiday. Here I have a stemless wineglass with a skeleton on it for Halloween. I could easily switch this out for another wineglass with a more Thanksgivingy design! Napkins. 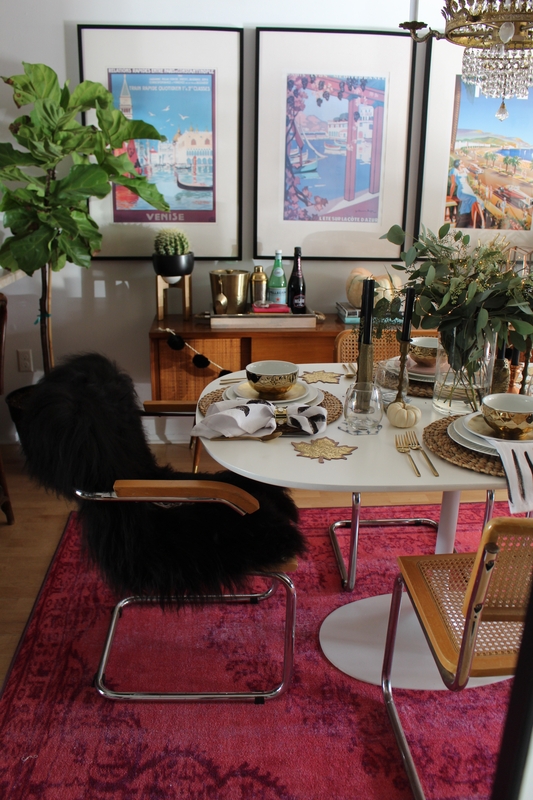 This is a really fun way to change your table up. Napkins come in all designs and colors. You can even do your own! 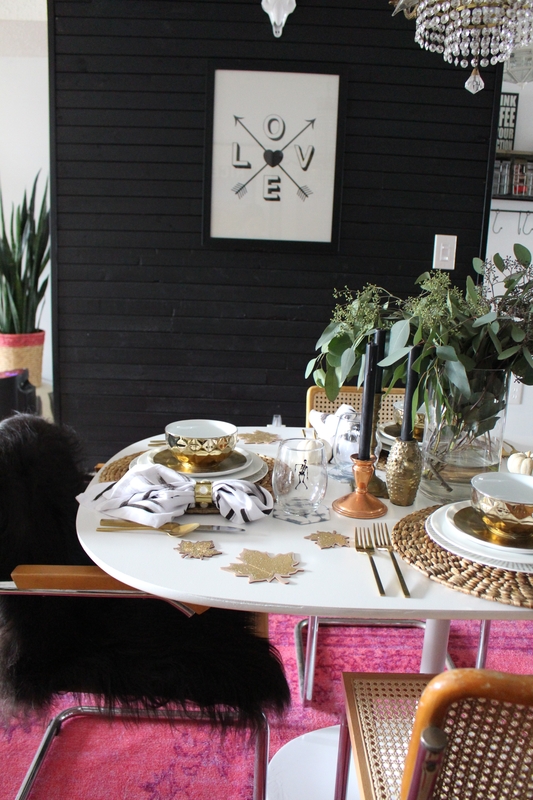 For this tablescape I DIYed my own napkins. I bought regular white napkins from Home Goods and dyed them myself. Not only can you change the design and color but you can get super fancy and make shapes and different folds out of your napkins if that’s your thing. I saw a bunny for Easter one time! Switch a plate color. I’ve been asked before what is the cheapest way to throw a dinner party? Honestly keep it simple. 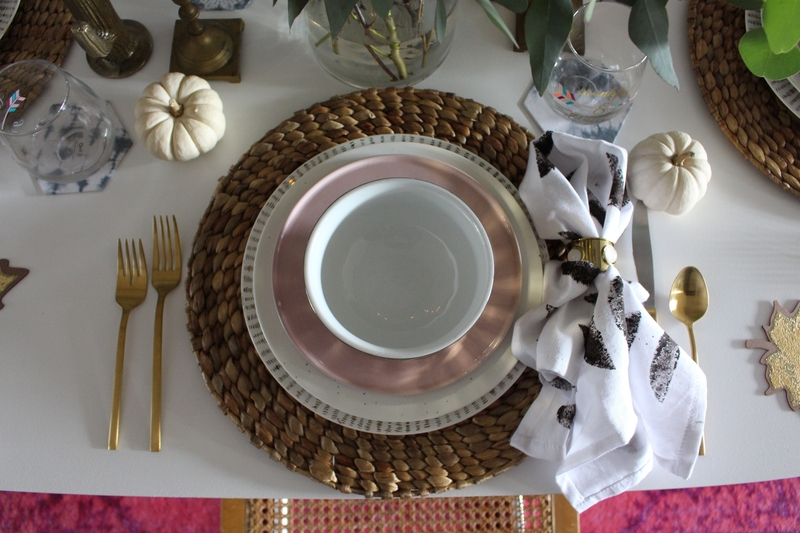 You can get plain white plates at the dollar store and add in a colored or fancier plate from Home Goods! Don’t make yourself crazy. I found most of these plates on sale or for only a couple bucks. Another really cool idea that I tell people is go to your local thrift / antique / goodwill for plates. You can find really cool plates and a mismatch look is always fun! Centerpiece. I’d have to say this is one of the MAIN things that is going to give your table a holiday / seasonal vibe. Your centerpiece can be anything you want! Flowers, pumpkins, candles, sticks (whatever floats your boat). You can get super creative here! One of my favorite things to do is mismatch candlesticks or bottles with flowers. You don’t have to break the bank to have a gorgeous centerpiece. Runner. Okay, so runner aren’t really MY thing but they can be super cool. I think I’ve become a minimalist ( I like a more clean distinguished look). So a runner can make a table look kind of busy in my opinion BUT it looks awesome on some tables. This is another thing you can do DIY. I’m all about creating your own mud cloth or shabori style runner! Napkin rings. This is another thing you can have fun with. You can always create your own napkin rings too. Heck, you can create anything yourself! They come in all different seasonal designs and colors. Personally I like a simple brass ring BUT I’ve seen napkin rings done beautifully! Placemats. 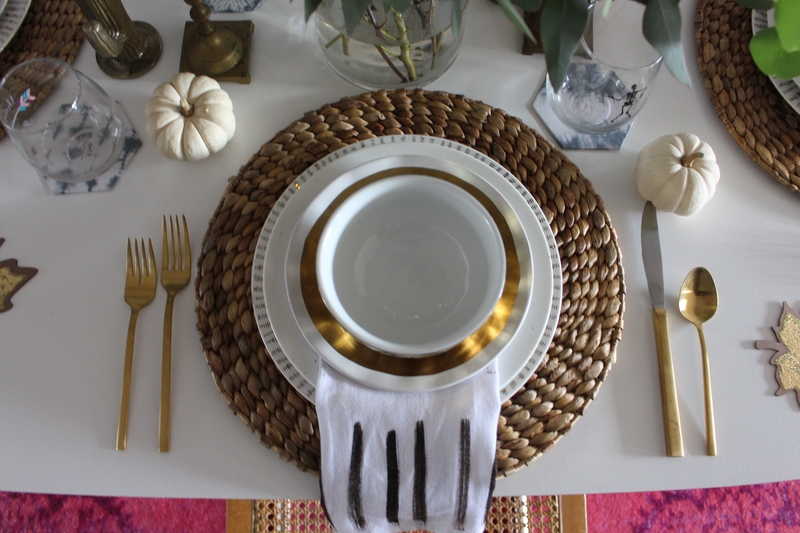 When it comes to placemats I’m all about texture, texture, texture! I love a nice beaded, roped placemat. However, there IS one “thing” I have with placemats though. Size and shape. The placemat should compliment the table so in my case rectangular or square placemats would’ve looked pretty weird. 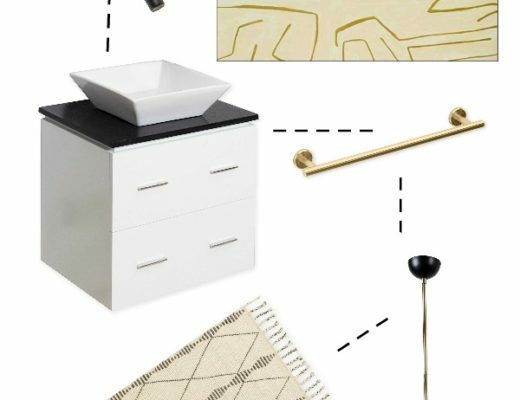 SO you have to be aware when choosing placemats that it will compliment each other. Accessories. 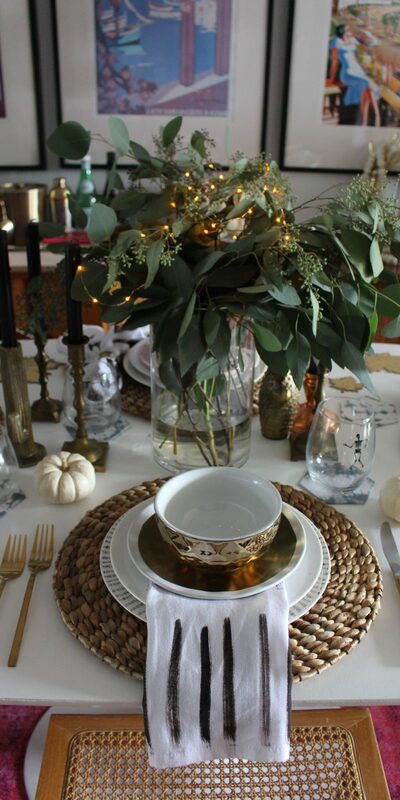 Here in this specific tablescape I used the little cardboard leaves from Target. The lights I used in the seeded eucalyptus could be considered an accessory too. These are fun little things to fill space and WOW your guests. You could also put a flower or favor on the plate. I even draped faux fur rugs on the chairs to add to the experience. Let your creative juices flow! 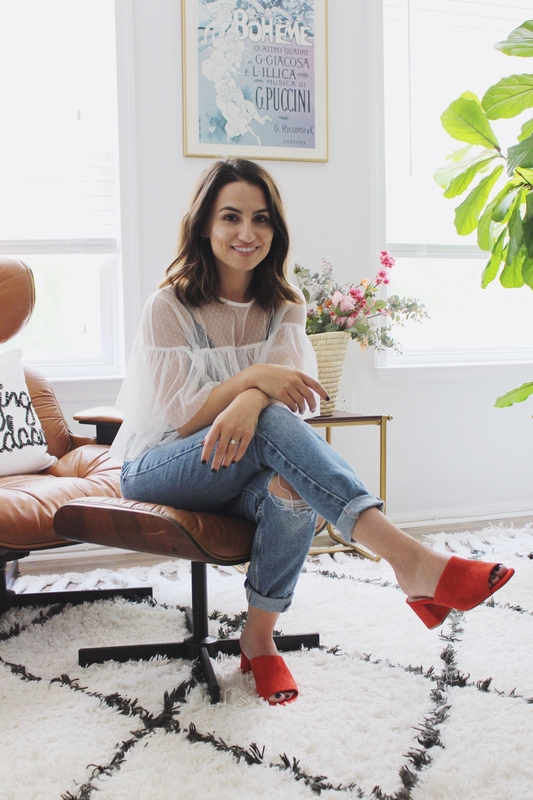 Tag me on Instagram to show me all of your freshly style tablescapes!